2015 at the SM Aura SMX Convention Center in Taguig from 8AM to 6PM. relevant to the growing market in the Philippines. transforming the future of online marketing in the Philippines. 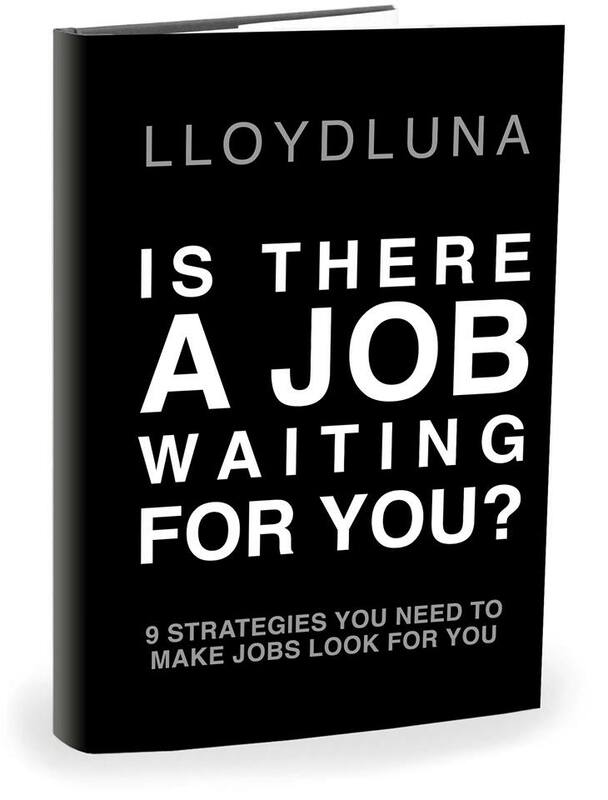 2. just had laid off, retrenched or in the midst of closing down the company you're with for the last 5 years. More and more professionals now need more than the usual college degree and training sometimes are not enough. So, if being equipped might not give us the right career, how about learning how others did it. UNLESS you beat the average of 199 other applicants competing for the same position, you won’t get the job. You’ll be joining the world of the unemployed. Nevertheless, you shouldn’t get depressed and disappointed, for you are just having your first taste of the real world. 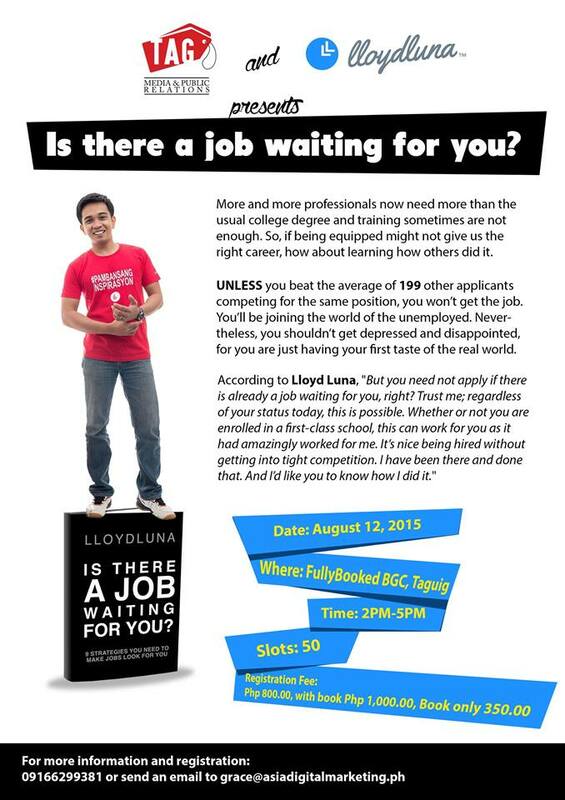 According to Lloyd Luna, "But you need not apply if there is already a job waiting for you, right? Trust me; regardless of your status today, this is possible. Whether or not you are enrolled in a first-class school, this can work for you as it had amazingly worked for me. It’s nice being hired without getting into tight competition. I have been there and done that. And I’d like you to know how I did it." For the very competive world we have right now in terms of getting jobs and upgrading our skills, the usual standard that we had in school was not enough. 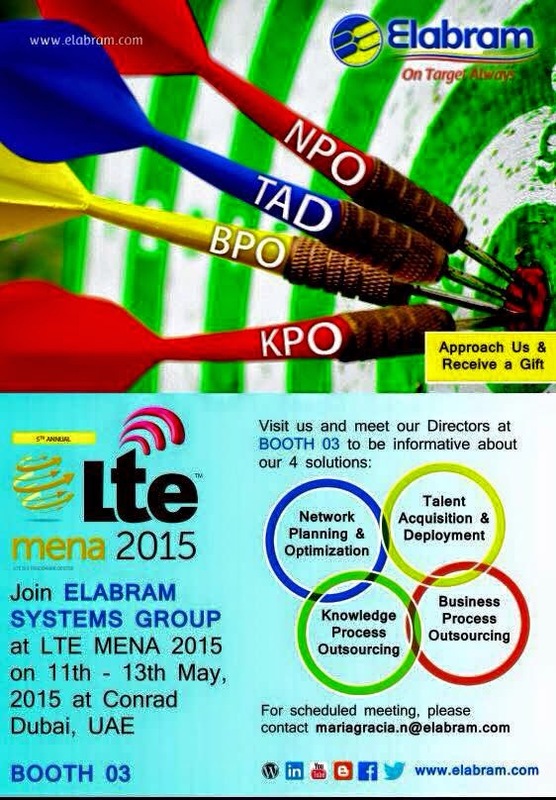 Trainings and seminars are here to give us some power and to differentiate us with the competition. Right now, the industry of Digital Marketing is getting stronger especially that more and more companies now are acknowledging the power of the internet. If one likes to be an entrepreneur and would like to do part time jobs or to support different companies as the outsource, one must venture into freelancing. 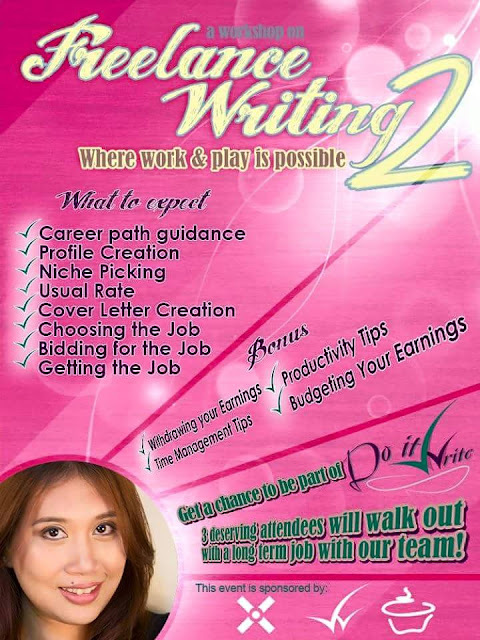 In this online portal, we feature different workshops, seminars and the like, check the details below on how to be equipped as a freelance writer. HOW MUCH: 1500 per slot. Refer to the poster for group discounts. Are you stuck in a routine wherein you wake up early to prepare for work, travel more than an hour to your office, spend 9 (or more!) hours doing boring and never-ending work for a boss that you hate, clock out tired and weary without a sense of fulfillment, travel more than an hour again to go home, eat, prepare for bed, cuddle and spend time with your family (if you're not too tired), sleep for less than 8 hours only to wake up early the same morning to repeat this routine? Then it is time for you to ditch that routine and become a freelance writer. Where work and play is possible. Don't mistake this workshop to be like the ones you have attended so far. What does this workshop have that is different? Unlike, other workshop that offers general insights in being a freelancer, this workshop will guide you through everything step by step. In this workshop, you walk in an employee tired of their day job, or an employee looking for extra income, You come out still an employee but with a renewed spirit and a long term freelancing job if you are chosen. If not, you still walk out with a freelancing profile that is ready to send out your first application and accept your new job. Still curious about what I am talking about? Here are some of the things you will learn. Did you know that there are two types of freelancers? This workshop will help you determine which type will suit you, your schedule and your skills better. There will be an on the spot profile creation. Know how to vamp up your profile to get yourself noticed by your clients. Learn which niche or "genre' as you call in with music will work best for you and your skills. Learn about the usual rates for every writing job. Know that bidding too high won't win you the job, bidding too low won't either. Never commit that mistake again after this workshop. When applying for the job. Your cover letter is your weapon, you have to penetrate through the client's shield and make him realize you are the one for the job. Know what and what not to include in your cover letter. Learn about the jobs that are fit for you. Differentiate scams from legitimate ones. Learn how to manipulate you bid in order to get the job. Know what to do when you get the job. From accepting the offers and terms, to actually starting with the job. All of these will equip you to be more competitive in the freelancing world. These will make sure you can start your career right after you leave the workshop. Of course, I won't let you walk away with just that. I also prepared some bonuses that can help you with your freelancing careers. Withdrawing your earnings. Not everyone are aware of the policies and processes when it comes to withdrawing their earnings. Know what websites you have to register on and what bank accounts you have to enroll to. Time management tips. When you have all the time in your hands, how can you budget it to fit your lifestyle? How can you prevent procrastinating when you don't have a boss? Productivity tips. You know what they all say, work smarter not harder. No matter how hard you work, if you are not organized, you will not be able to finish you job. So I will teach you how to work smarter to finish the job in lesser amount of time and therefore have more time for yourself or your family. Budgeting your earnings. Of course I won't let you earn extra just to vamp up your lifestyle and spend more. There will also be a brief and helpful talk about how to spend your money wisely. Many feel the upcoming election is critical to the country's future and will determine whether the tremendous economic and social advancements made by this generation of Filipinos can be sustained. If the effective leadership of the most recent 2 presidents can be repeated, it is thought the country will reach a tipping point that will propel it to First-World Status by the middle of the century. However, a bad choice in this election could unravel a decade of progress and send a generation of Filipinos back to squalor. WILL DUTERTE RUN IN 2016? Before Rodrigo Duterte, Davao City was called the “Murder Capital of the Philippines” and one of the poorest regions in the country. Today, Davao City is rated as one of the most peaceful cities in Asia and among the Top 10 Most Livable in the entire world -- in addition to having a vibrant economy and rising living standards. Many call Rodrigo Duterte the greatest city mayor in the history of Philippines. CAN HE DO FOR ALL PHILIPPINES WHAT HE DID FOR DAVAO? Join us for this special occasion to see and hear the man who might be the future of Philippines. This Asia CEO Forum luncheon event will be held on Thursday, June 25 (11:30am to 2:00pm) at the Makati Diamond Residences, the city's newest 5-star facility (located on Legaspi St. across from Greenbelt5). Register at this location: asia-ceo.org/?event=mayor-rodrigo-duterte . Chosen by land-slide in every election he has run since 1988, Rodrigo Duterte is easily one of the most popular leaders of our era. His willingness to take extreme personal risks to make positive change for others makes him unique among elected officials of any nation. Many cynics inside and outside the country say Philippines has a track record of “shooting itself in the foot.” They say it is only a matter of time until the country "flushes itself down the toilet" all over again. 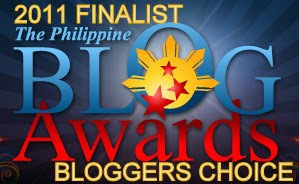 Let's hope they are wrong and Filipinos achieve the greatness they deserve. IS DUTERTE THE RIGHT CHOICE TO LEAD THE NATION? WILL HE RUN AT ALL? See Rodrigo Duterte and decide for yourself. Confirm your attendance and payment on the Official Event Website at www.asia-ceo.org (Visa, M/C, Amex, Paypal accepted). 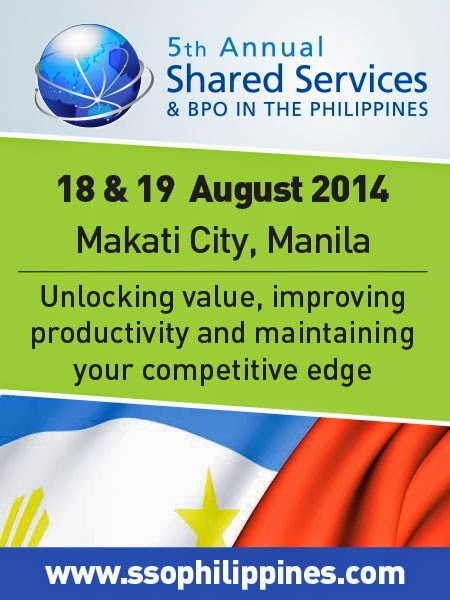 The price of admission is Php2,000 and includes elegant lunch (Php2,500 if paid at the event). We expect a sell-out event and cannot guarantee seating for late-comers. Asia CEO Forum, presented by PLDT ALPHA Enterprise, is the largest regular business event in Philippines with major sponsorship from AIG, Aon, Ascentia Consulting, Aseana City, Daiichi Properties, DB Schenker, Figari, JLL, MDeC, Meralco, SAP and SHORE Solutions. See details at www.asia-ceo.org. For information on sponsorship and participating in the dynamic Philippine economy, send a personal message directly to me. 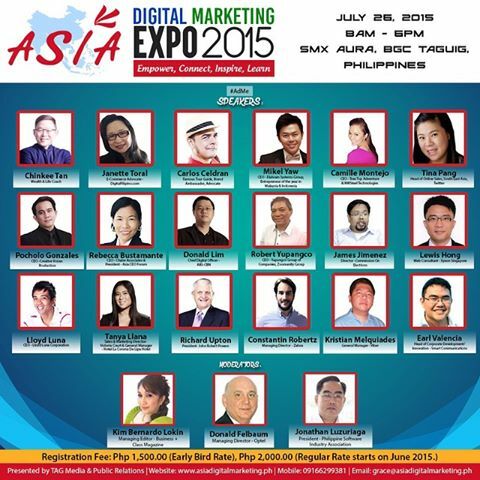 We're 51 days away from the "Asia Digital Marketing Expo 2015" happening on July 26, 2015 at SMX Aura, Taguig, Philippines, the country's BIGGEST Digital Marketing Conference of the year. 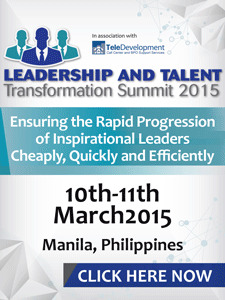 Meet our 23 Leaders as speakers and Learn from them, eventually, you will be one too. • -Dr. Donald Lim - Chief Digital Officer, ABS CBN. 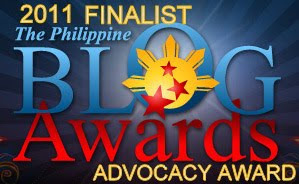 • -Janette Toral – E Commerce Advocate, Digital Club Filipino. • -Rebecca Bustamante -President & CEO, Chalre Associates. • - Camille Montejo – CEO, NWSteel Technologies & Tree Top Adventure. • - Pocholo De Leon Gonzalez – CEO, Creative Voices Productions. • - Lewis Hong- Web Digital Marketing Specialist, Xyxon Pte. Ltd.
· - Is the Philippines ready to be a cashless society? 3. Send the scanned deposit slip to grace@asiadigitalmarketing.ph. A confirmation email will be sent to you. We are still accepting sponsors and partners, just let me know.